Prime Minister Nguyen Xuan Phuc has sent greetings to Khmer ethnic people on the occasion of their traditional Chol Chnam Thmay (New Year) festival, which falls on April 14-16 this year. 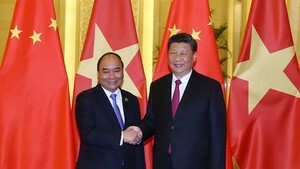 In the message dated April 1, the PM acknowledged the great contributions made by the Khmer people and religious dignitaries to the country’s development achievements. He wished that the community would continue to unite and make efforts to gain greater accomplishments in socio-economic development, sustainable poverty reduction and preservation of the traditional cultural identity. The Government leader wished the Khmer community both in and outside the country a happy and joyous Chol Chnam Thmay festival. 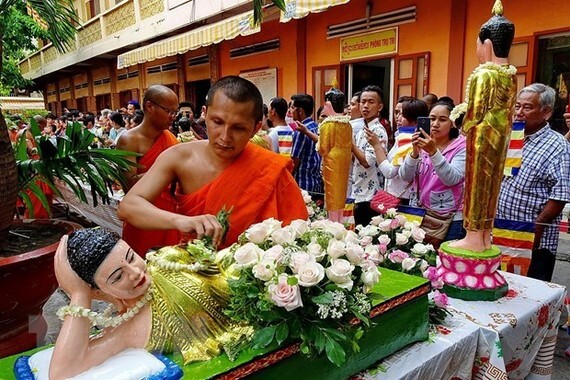 Chol Chnam Thmay is one of the most important festivals for Khmer people. It usually lasts three days and is celebrated mostly in pagodas. The festival is a demonstration of Khmer people’s aspirations, like many other ethnic groups, to move on from the previous year’s misfortunes and look forward to a promising new year.